Low Cost Web Agency designs the slideshow you need for your website. Our senior designer will build a perfect and unique slideshow to impress your visitors. 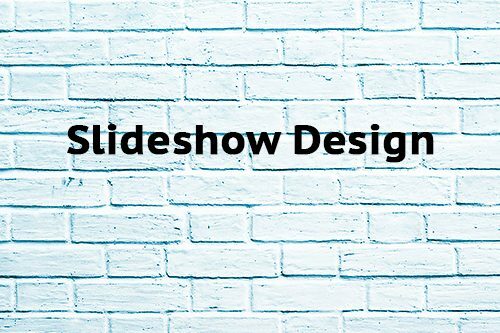 A slideshow contains a presentation of 2 to 7 animated and stylish slides specially for your website. A slideshow must be used at least on the homepage of your website and it can be also showed on the main inner pages. With a professional slideshow designed by an expert designer, You can outline topics of your website with eyes-catching creative slides. In fact, you can choose to present better key products highlights, corporate breaking-news while using a slideshow within the header of your website. With this gig, we will integrate and design all the slides of your slideshow as well as its structure. We take care of your images, text & animation. Different choices are available according to the characteristics of your website. You can decide if you want us to install the slideshow on your website or not. Additionally, you can choose the option “source file” which allows you to make modification on the creative files when you need. Finally, Low Cost Web Agency lets you fix the exact number of slides you want us to be offered (2 to 7). Of course, the price of your slideshow depends on those selection criteria. “You just pay what you need!” It’s Low Cost Web Agency motto. Remark: The number of ordered items has to be equal to the number of pages/slides you want for your slideshow. Slideshow design is included by default in all our website design offers.